I am big body lotion hoarder and the wider the variety the happier I am. 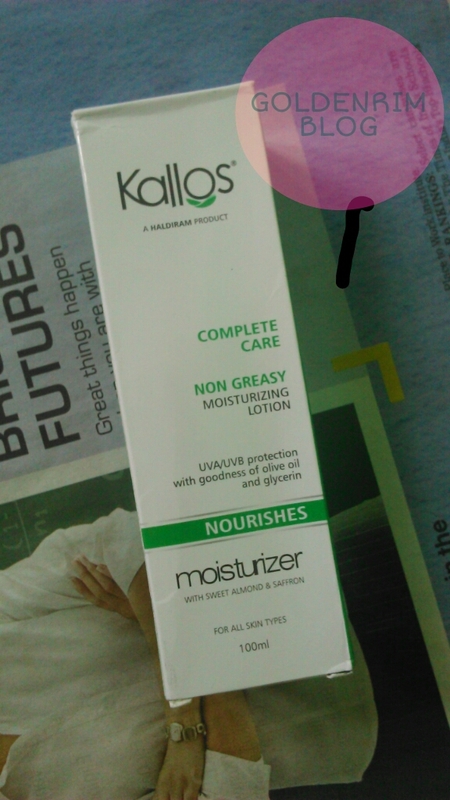 So when the brand Kallos sent me some of their products for reviewing I was excited after I saw body lotion in the package. Kallos is a cosmetic brand by Haldiram's Namkeen. Some products are little artifical smelling but some products are really good at the cost which they are offered. I will soon review the other products, as I want to thoroughly test them before reviewing. 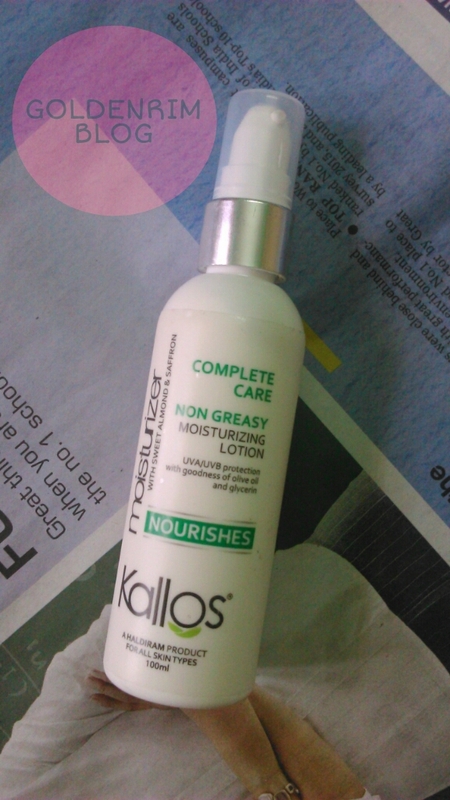 Let's see the review of Kallos Almond and Saffron moisturizing lotion today. Firstly I am impressed with the pump packaging. It is compact, sleek packaging which makes it travel friendly. The cap is also tight and doesn't come out easily. The pump nozzle is small in size though, so more pumps are needed to dispense the required amount of product. 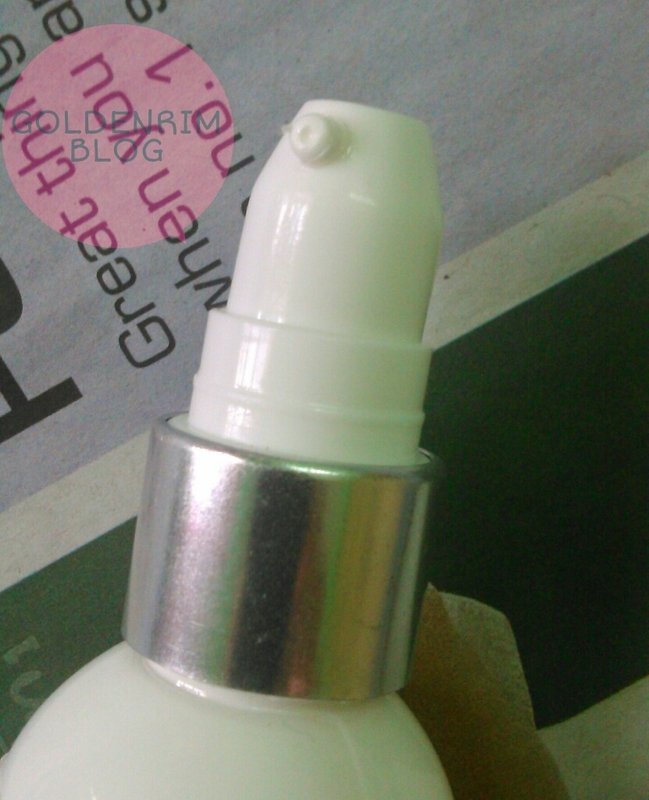 The lotion is pale cream coloured and thick in consistency. It has a pleasant fragrance which neither lingers much nor is artifical. It gets absorbed in the skin easily without a greasy residue or feeling. It moisturizes the skin very well but reapplication is needed after around 10 hours. I am not sure of the UVA/UVB claims of the lotion. I think many chemicals can be avoided if UVA/UVB protection is not included in the product. Some may find UVA/UVB protection good, I am not concered about this claim and not tested it that way. Price and Shelf life - 175 INR for 100 ml with a shelf life of 2 years. Availability - available online, buy here. Available on major shopping portals. It is an affordable body lotion with the goodness of almond and saffron. The packaging is sleek and travel friendly, the lotion is of thicker consistency. I would recommend this lotion for normal skinned people, but dry skinned beauties may need a reapplication. It is a good body lotion which is affordable too. I would definitely recommend the Kallos Almond and Saffron moisturizing lotion as a change. You may skip it if you avoid parabens and other chemicals in lotion.